Fri & Sat - 8.30am to 5pm. Visit T.R. 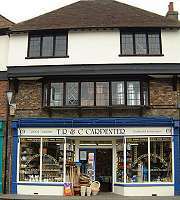 & C. Carpenter, Traditional Ironmongers, and see for yourself.